Unfortunately, neither label is an absolute 100% guarantee that there are no slight traces of GMOs. Nearby GMO crops of the same type you purchase can pollute even organic crops and still be USDA approved as organic. (2) Which infectious GMO crops should be avoided unless clearly designated organic? Almost all corn, and soy crops in the USA and Canada are genetically modified. A lot of cotton is and canola is genetically modified. Avoid those cotton seed and canola oils. Beet sugar can come from genetically modified beets. 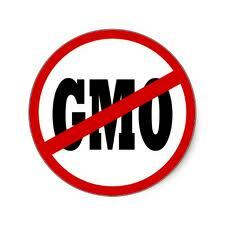 (3) Nearly 80 percent of packaged foods contain GMOs. These need to have one or both of the labels mentioned earlier. Besides causing liver damage, high fructose corn syrup (HFCS) or corn syrup sweeteners come from GMO corn. Another toxic sweetener, aspartame, is also a GMO. (4) Realize that the term “natural” on a food product is meaningless for determining an organic or non-GMO food product. It’s simply deceptive marketing. (5) Non – organic milk and milk products are usually from cows fed GMO corn or soy. Even worse, one-third of commercial milking cows are injected with patented Monsanto GMO growth hormones called recombinant bovine growth hormone (rBGH). If dairy is not labeled organic or grass fed, at least look for a labels that says no hormones or rBGH. Traces of pus or blood from rBGH cows’ udder infections is not nutritious. Meat eaters should avoid factory farm meats that are fed GMOs and injected with antibiotics. Look for organic grass fed. (6) Avoid packaged cereals unless the logos from section (1) are present. If you have children, train them patiently to not demand those cereals in brightly colored boxes. Most are full of GMOs, even if they say “natural” or appear in health food stores.